Hormel Thick and Easy Clear Instant Food and Beverage Thickener, Hormel 25544, is a powdered dietary supplement that can easily be added to the beverage of your choice while providing the nutrition you need. A scoop inside the canister offers a proper measurement per scoop so you know exactly how much you're getting. The powder is able to thicken up all varieties of hot and cold beverages so there are no concerns about the consistency of the powder within each beverage. 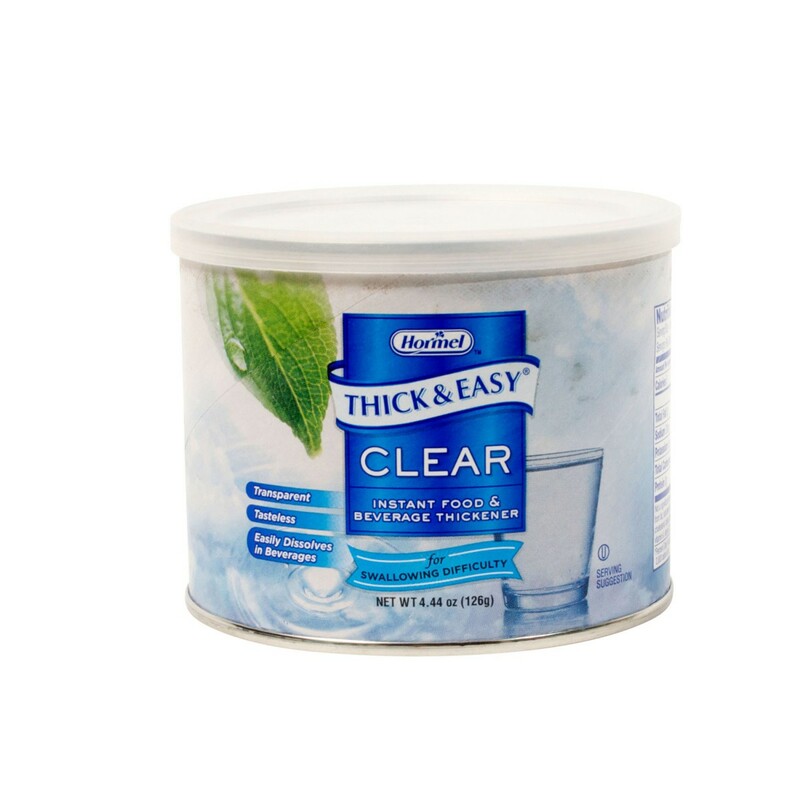 Each Thick & Easy Clear serving size has enough calories and carbohydrates for optimal weight control.